Where February topped the first month of this year with 362 pull requests merged, March broke the 400 pull request barrier, in no small part, thanks to the very active hackathon in Nuremberg. 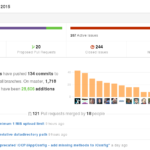 As always, the following will summarize some of the happenings in ownCloud development during March 2015 based on what went on in github, development mailing lists, blogs and so on. Tips are very much welcome! Ping Jos with your input. The biggest items last month were the integration of ‘update streams’ in the Updater app, the merger of the first parts of ‘Encryption 2.0′ in core, improvements to the Gallery+ app, changes in the forums, ownCloud client 1.8 and the availability of enterprise support options from ownCloud, Inc. The ownCloud website also underwent an overhaul with improved front, install, and support pages and the ownCloud Contributor Conference was announced this week! You can read a report on February here. Note that we only cover improvements integrated through the pull request process and most non-core ownCloud apps, including the desktop client, which have small enough development teams that the overhead of that process is not worth the benefits. The result is that we only track a part of ownCloud development in these reports! 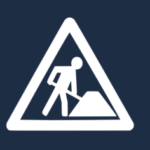 If you are active in one of the ownCloud apps or just keep an eye on development there, consider sending some information about noteworthy developments our way or blogging about it occasionally yourself. 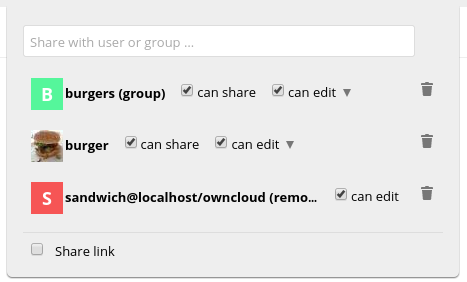 The Updater app now has ‘channels support,’ allowing admins to choose to remain on a specific ownCloud stable series. t-online has integrated the updater in the admin panel rather than a separate window, improved the user interface and made changes to show more and clearer feedback on state and progress of operations. The core of Encryption 2.0 went in. The new generation encryption app still has a lot of work ahead, much of it being tracked in this pull request. In other encryption news, code from jknockaert has made encryption stream wrapper seekable (original PR), which makes reading big encrypted files more efficient. oparoz introduced support for previewing Raw files and font previews. External storage can now have mount options, exposed in the GUI. There is now a “Tips & Tricks“ section in the admin settings. Crote added a –show-password option to ldap:show-config. As part of a big effort to improve performance of sharing files with large numbers of users (think a thousand or more), a fix was merged to only check for cached dirs if cache is being used, cutting time needed for sharing to a large number of users in half. kampka made it possible to configure the background job mode from the console. As for the more minute details, there is now some white space to the right of the file list so you are less likely to accidentally delete a file when you just wanted to scroll through the files list. Work by rullzer has made it so that the admin panel always shows the max upload size, however it is greyed out if it can’t be changed by the user. He also further refined the share dialog. A new pop over style for apps and user drop down menus was merged and in the app store; app descriptions are now collapsed by default to shorten the list a bit. 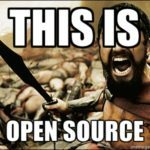 If you want to get involved in coding on ownCloud – check out this page to get started! 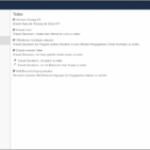 The brand new Dotclear app integrates Dotclear blogging into ownCloud. The Files Tree app is also new and shows files in a tree view. The app still has some issues and gives very little information on what it is or how to use it for now, but hopefully updates will be available soon. For those wanting their apps visible in the top bar rather than in the menu, there’s Direct Menu 0.2, while fans of a sidebar with apps can enjoy Old Menu 2.0.1. The great Gallery+ app by oparoz continues to get both small and large improvements. 2.0.6 made the app much, MUCH faster, especially on large collections, while it also fixed a series of smaller issues and 2.0.7 improved on IE11 compatibility. 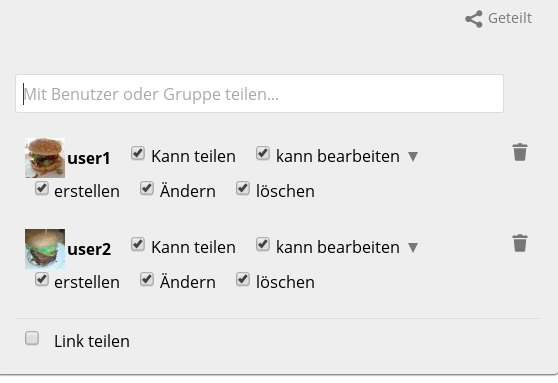 If you’re a user of the Groupoffice CRM and groupware tool, you’ll love the ownCloud integration. If your company uses Slack, you can benefit from the Slack Notification app. The Restricted Access app (at 0.3) can be used to prevent some users to have private data. If you need your ownCloud to show a disclaimer at login, you’ll love the Disclaimer app. The Dashboard app has recently seen a big rewrite and is much improved. 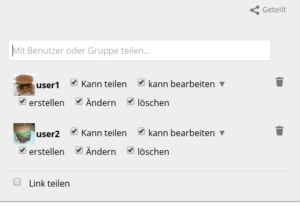 One of ownCloud’s chat applications, User Conversations, now has a settings menu and works with ownCloud 8.
grauphel, a tomboy REST server for syncing notes is at 0.5, bringing ReStructuredText rendering and a standalone HTML mode for notes, case-insensitive search and more. Shorty, a service to store, manages and uses a collection of shortened links pointing to resources in the web, and it’s associated tracking app has been updated, bringing user interface and visualization improvements and ownCloud 8 compatibility. user_sql and Pasword Policy Enforcement were updated for ownCloud 8. The positive responses from users at SCALE and FOSDEM prompted this nice email to the devel list. There was a conversation about logging and login errors. A conversation about apps in the app store, with the conclusion that ownCloud 8.1 will improve the app store situation. If you would like to present ownCloud 8.0 or ownCloud in general at an event or meetup, you can use these ready-made presentations. Last but not least, ownCloud Desktop Client 1.8.0 was released, bringing a boatload of improvements! You can join the discussions on the development lists on this page. An ownCloud Hackathon was announced. You were notified of a snafu with the 8.0.1 release and the subsequent availability of updates to ownCloud 5 through 8. Note that this was the last update to ownCloud 5 and if you still run this release, you should really update to 6, 7 or 8! The release of 8.0.2 came with availability for the enterprise support options from ownCloud, Inc. and introduced you to some changes in the ownCloud release model. ownCloud development in January was covered and Klaas wrote about etags, FileID’s and the ownCloud client. An interview with ownCloud Founder Frank and the team lead of the server team at ownCloud, Inc., Thomas, discussing the PHP language was published. The release of the desktop client was covered by the org blog and Klaas. 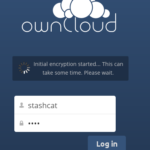 A post about contributing to the ownCloud mobile apps was published. 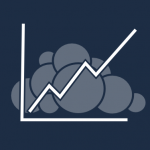 Over at ownCloud, Inc. Frank blogged about sharing some statistics and pointing out how important community contributions are for ownCloud. On the ownCloud website we have a much improved install page, as well as a new support page and updated front page. 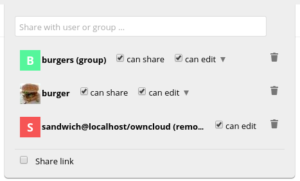 Please note that if you’re an ownCloud contributor, you should get your blog aggregated on owncloud.org/news! Ping Jos with your RSS feed. Get in touch with ownClouders! If you’re looking for ways of getting in contact with fellow ownCloud users in order to discuss ideas for improvements in ownCloud or even to learn how they use it, check out this page and you can find places to ask questions on our support page. If you’d like to meet in person there are a number of ownCloud events taking place! You can meet fellow ownCloud users and developers at ownCloud meetups or see us at conferences. Find a calendar of ownCloud events on owncloud.org/events. ownCloud meetups are a chance to learn more about ownCloud or to get coding work done. If you know of other (regular or not) meetups or are interested in organizing one yourself, check out this page to see how to get involved. Thanks for the update, but unfortunately most links are broken, there is always the part “target=” in the url. If you remove that, the links will work again. Thanks Jos for these reports! It’s really useful to be able to track what’s going on at oC. The Hackathon in Nuremberg was Awesome!